I love to paint bold color and strong natural light. I believe that “anything can be beautiful when it is seen in the right light”. Speaking about “Finding Your Creativity During the Mommy Years” for Mom’s Salon in Belle Meade, Tennessee, 2018. 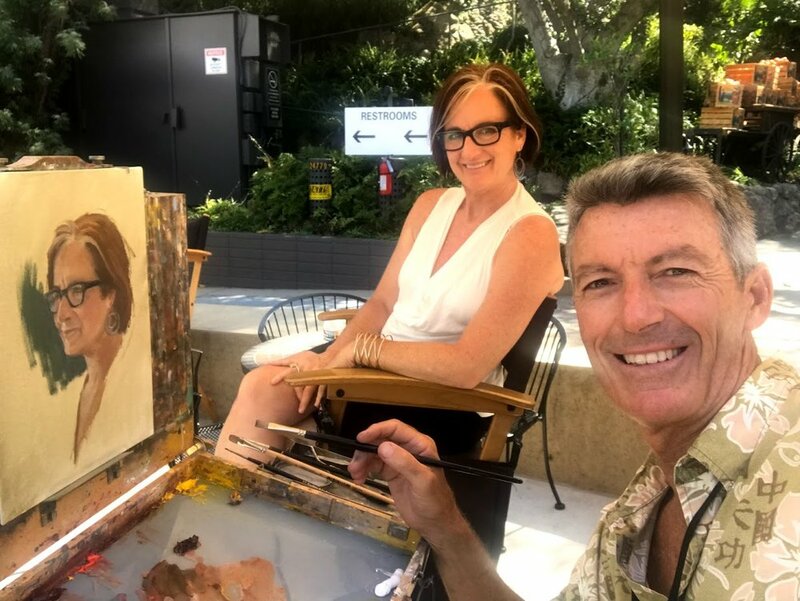 August, 2018: Painting with SCPAPA artists at Back Bay paint out, Newport Beach, CA. Aix en Provence, April 2017: Painting Cezanne’s view near his atelier. Bucket list check! July, 2018: Close up of my easel at the Back Bay with Southern California Plein Air Painters group. July, 2018: Painting in plein air at Crystal Cove State Beach in front of the Beachcomber restaurant. It was a hot day, but I love the color! 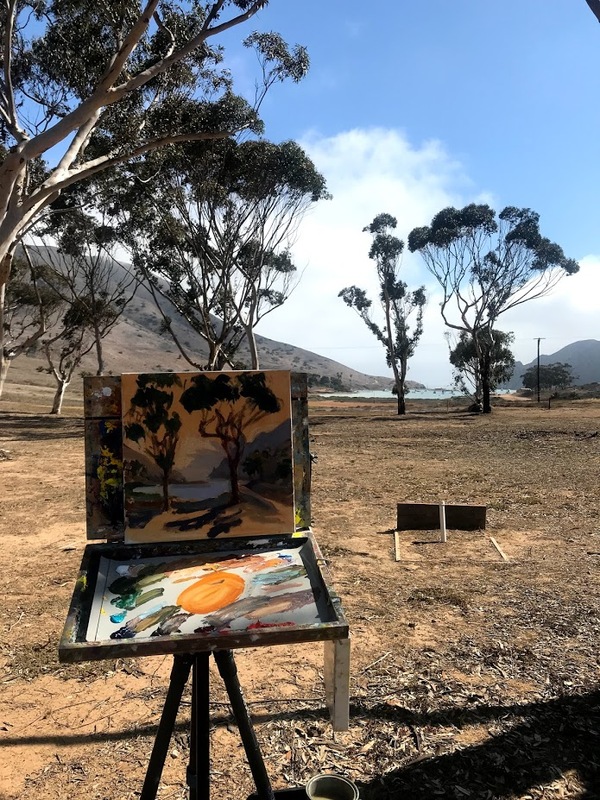 Painting with Southern California Plein Air Painters Back Bay Paint Out, August 2018. Plein air set up in North Laguna spot. April, 2018: Painting in Paris flower market. June, 2018: Starting my plein air sketch on Catalina Island, Two Harbors/Isthmus spot. My favorite place on earth. July, 2018: a selfie while painting on Catalina Island, overlooking the Casino above the Inn on Mount Ada. Chestnut Group’s Plein Air annual show and fundraiser for Radnor Lake. Showed 4 pieces. Donated and Sold painting at Auction done in plein air at Radnor lake. Live Auction: Showed and sold painting at live auction fundraiser to benefit public school. “Hot August Nights: Artist in Residence”, Juried, Invitational Show through Laguna Plein Air Painters Association. Three of my paintings selected by gallery and hung August, 2017. Group Show of Staff members and Art Department. Showed 10 original oil paintings. Summer, 2016: Studio K Gallery Show and Opening; Showed 25 original oil paintings in new studio for fellow neighbors of Richland West End and friends. Monthly art collective in heart of art district. Showed 15 paintings in main entrance.